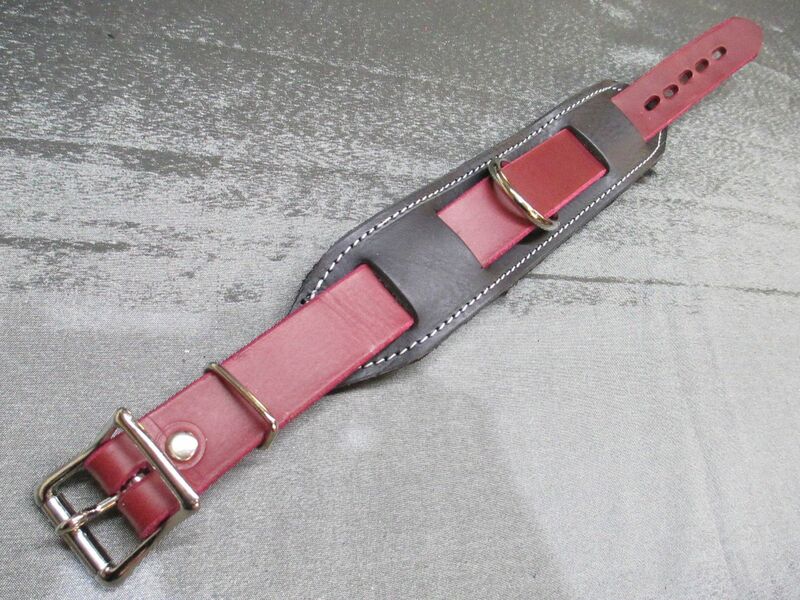 Claret and/or all Black Italian Grade A quality Leather locking Slave collar with center welded Dee ring feature. 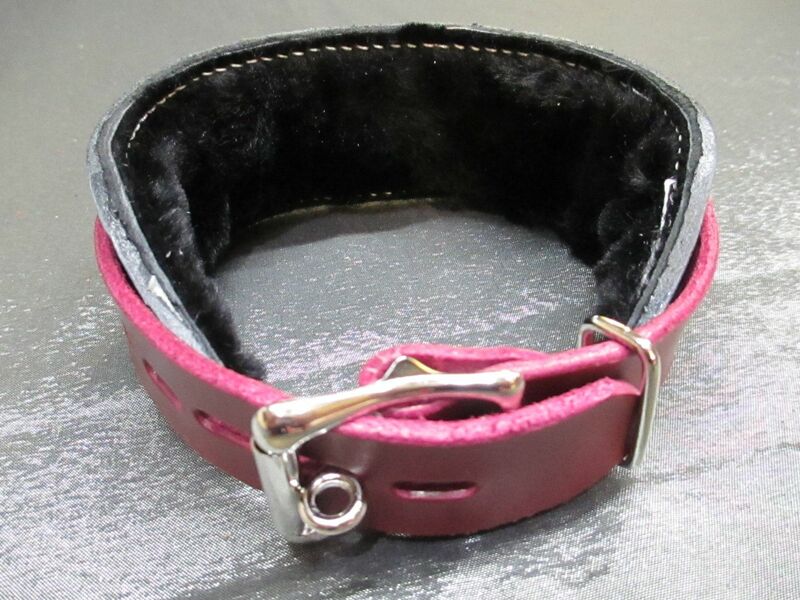 This genuine leather collar is luxury Merino Fur Lined and comes with a one inch roller locking buckle. Base is bonded and stitched, and 1 inch wide strap runs through it, so can be removed to wear just the strap part alone. Available in a choice of colour options. This is an ideal collar for heavy play sessions, it's extra strong! "Beautiful quality and excellent service. I’ve purchased a few items from SSL and will no doubt be back for more!"